Measurement and Analytics: The click-through rate will help with Twitter’s “Resonance” rating. While the resonance rating is part of Twitter’s Promoted Tweets campaign, there is value to provide companies – small, medium and large – access to this data, similar to a Google Analytics dashboard. Maybe Twitter can provide an entry-level offering with minimal information and then charge for for more analytics and optimization options. Content Creation: One type of intelligence is understanding how your audience consumes and distributes the content. By analyzing these patterns, you can gain insight into the types of content that your audience is seeking. You can then develop a content strategy to reach and connect with your tareted audience segments. Influencer Relations: By combining Twitter’s retweet information with the t.co click-through data, you can better identify influencers within your social graph. These would be individuals whose followers not only retweet content but also takes action via click-through information. I’m curious to see what future developments will be introduced (or maybe acquired) by Twitter to enable individual and corporate brands to optimize their presence on Twitter. And whether or not these services are complimentary or competitive to companies like Radian6. What do you think? Anything I’m missing? I always look forward to meeting people at conferences. I plan to be attending these two upcoming conferences. Drop me an email if you’re interested in connecting. 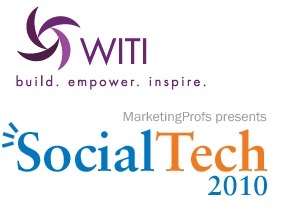 WITI’s Women and Technology Summit, September 12-14, 2010 – San jose Doubletree Hotel – I will be attending on the 13th and 14th. The conference brings together top technology leaders to discuss strategy and growth. SocialTech 2010, October 26, 2010, San Jose Doubletree Hotel – This conference looks like it will be a powerhouse of speakers discussing how to leverage social media for B2B. 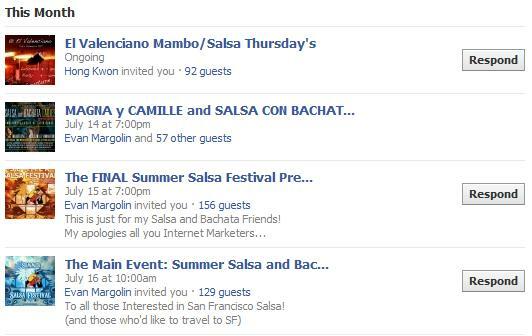 Look forward to seeing you in San Jose. In a recent report by Jeremiah Owyang of The Altimeter Group, The 8 Success Criteria for Facebook Marketing, the group highlighted the need to set community expectations as a key component for success in Facebook marketing. I think this is not just for Facebook but something to consider as part of your social media strategy. Furthermore, this extends beyond your external audience but also should be shared with employees and supported by your executives. Engagement: Be clear on how often you plan to engage via your social media outlets , as well as the guidelines for participation and behavior. In addition to incorporating the policy into your social media strategy, consider placing this on your corporate website to ensure consistency and refer back to it when appropriate. Transparency: While people will engage with a brand, I strongly believe that putting a name and face to the company strengthens the connection with audiences and humanizes the company as a result. Incorporate a page that provides at least a bio and photo of contributors. Purpose: Provide a clear sense of why you’re engaging people with social media. Is this to get feedback from consumers, to sell something or for customer support? Not only will this minimize confusion with external audiences, but also help internal employees understand what they can reveal publicly. Consistency: Once you set the expectations deliver on this consistently. Are there other factors I missed? Let me know in the comments, and I’ve also embedded the full version of the Facebook Marketing Report below for your reference. 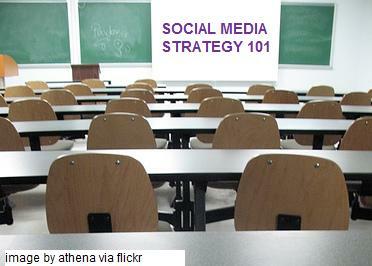 Social Media Strategy 101: Are You Ready? Social Media Strategy 101: Which Persona Helps Tell Your Story? You’ve decided that you want to engage in social media. You have the resources, you have executive support, and you have a larger marketing strategy. Time to open the Twitter account, create the Facebook Page and post YouTube videos, right? Wrong. Johnny Carson: Humor is a great way to draw people in, engage them in a laugh and leave them with a wanting with more. But you have to be cautious with using this method. There’s only been one Johnny Carson and many imitators. Make sure your use of humor fits with the messages you’re seeking to communicate and the personality of the company you’re cultivating online. Just the Facts Ma’am (Dragnet): The straight forward and direct approach informs your audience about your products, solutions and company. This provides an additional channel for your audience to get answers to their questions. The challenge is developing a style that encourages engagement with your audience versus being seen as a broadcast of your marketing messages. 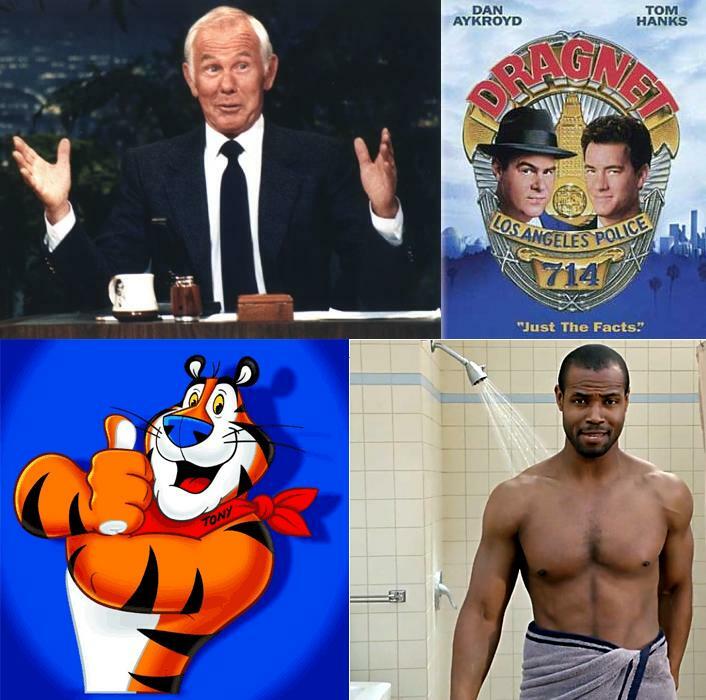 Tony the Tiger Mascot: Creating the right mascot can enable audiences to instinctively relate to your company and brand. The challenge – making sure the mascot doesn’t overtake the business value of your company. The Old Spice Man: We’ve all seen the commercials and subsequent videos online. The Old Spice Man is a caricature that seeks to use satire to target audiences. While highly amusing, incredibly viral, and deeply memorable, use caricature cautiously. Of all the characters, this one can backfire quickly if not done well. What other “personas” do you see in social media?